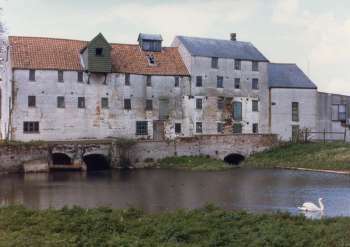 North Elmham Mill, sometimes known as Grint Mill, once ran two breastshot wheels using the six foot head of water available but these were taken out before the second world war and replaced by turbines. As larger machinery was installed it became necessary to move over to electricity, however one turbine continued to drive the sack hoist and the other worked two mixing machines. 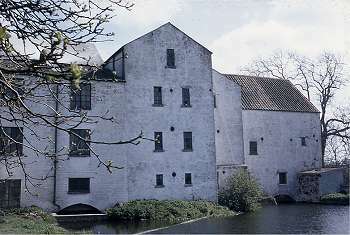 The mill was still working producing animal feed in 1970. On Monday last was married at Heigham, Mr Henry Hall, Miller, at Elmham, to Miss Clarke, of Worthing. step, and recover the character, which, once lost, is so difficult to be regained, and is dearer to me than life itself! intermixed barley meal with wheat meal, nor do we know of any such intermixture by the said Henry Hall; and particularly, that the meal delivered to Mary Farrer, for which Henry Hall paid the penalty, was not adulterated, or mixed with barley meal, by us, or any one of us, or by any person, or persons, to our Knowledge. John Norton (signed), Edw. 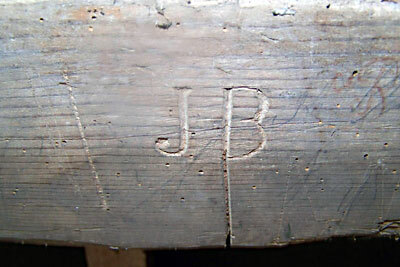 Rust (signed), John Bone (his mark). 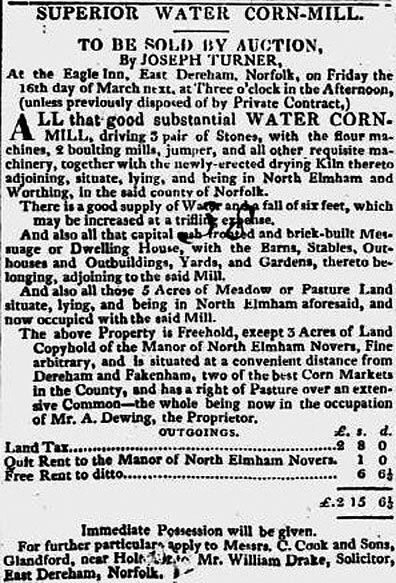 All Persons indebted to the Estate and Effects of Henry Jacob, late of North Elmham, Miller, deceased, are desired to pay their respective Debts to Matthew Brook Smith, and John Laverlock, of North Elmham aforesaid, or to John Clarke, of Southacre, his Executors, within one Month from the Date hereof, or they will be sued for the same. And all Persons having any Demands upon the said Deceased's Estate and Effects, are desired to send an Account thereof to his said Executors. ... I have not said anything about my son Thos. Whom you used to carry about. He is very thin and tall, rather delicate in his construction but think he will get strong after a time. 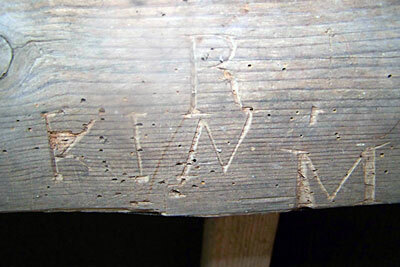 Robert Norton's ex apprentice, Robert Rudd had a sister Susan, who at the age of 19 had married William Skinner, a wealthy Whissonsett farmer who was 43. 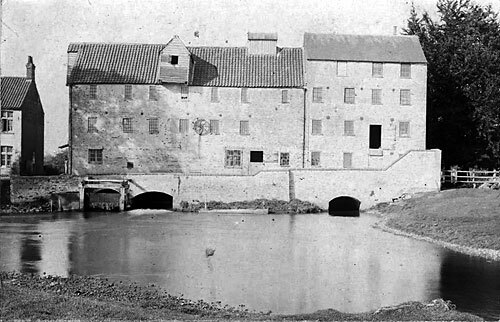 They had several children, one of whom was John Skinner who was also an apprentice miller but he got himself into some kind of trouble at the age of 17 and was shipped off to Michigan to join his uncle Robert in the American milling business. After a while he got into more trouble and was sent to Tasmania where another uncle John Rudd had a large cattle ranch. 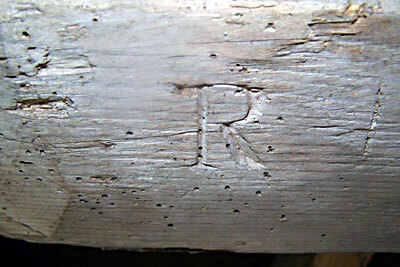 This John Rudd was married to Martha Goggs, sister of the 'Gogg's Mill' Thomas Goggs at Hempton. The Goggs family lived at Whissonsett Hall. 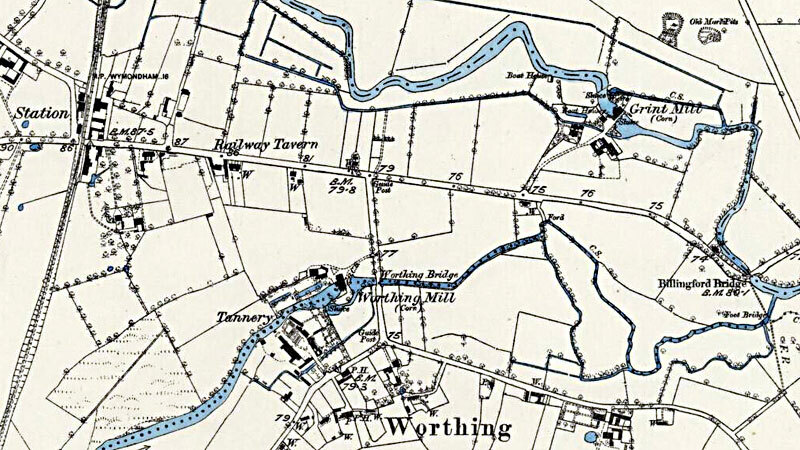 An earlier member of their family, Mary Raven, married William Hardy who owned Letheringsett watermill and various other mills and breweries around the county. They founded the Cozens-Hardy family. R.J. 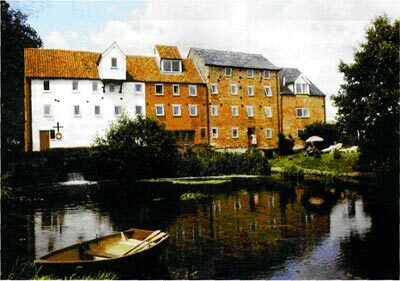 Seaman & Sons, which became one of the largest agricultural merchanting business in the eastern counties was started in North Elmham around the beginning of the 1900s when local farmer, Robert Seaman took over North Elmham Mill. 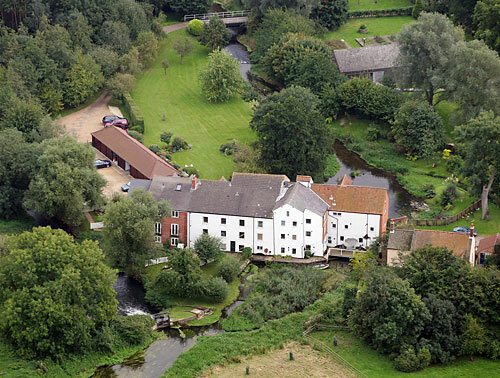 Using a £50 loan from the former mill owner, he started by producing stone ground flour but as there was virtually no demand for the flour, the business nearly closed in the first few months. 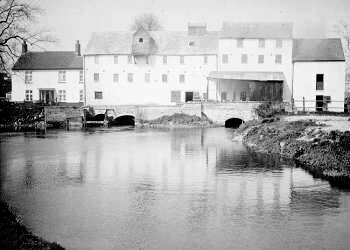 However, taking the advice of his five sons, who were also working at the mill, Robert Seaman converted the mill from flour to provender milling, thus allowing the sale of feed products to farming colleagues. 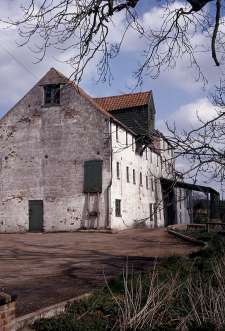 In 1929 Seaman's took over the Station Granary beside the railway at North Elmham and soon afterwards, this site became the company's headquarters. 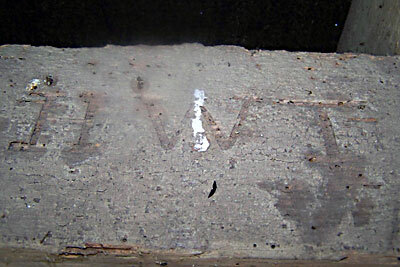 In 1946, after Mr. W.O. 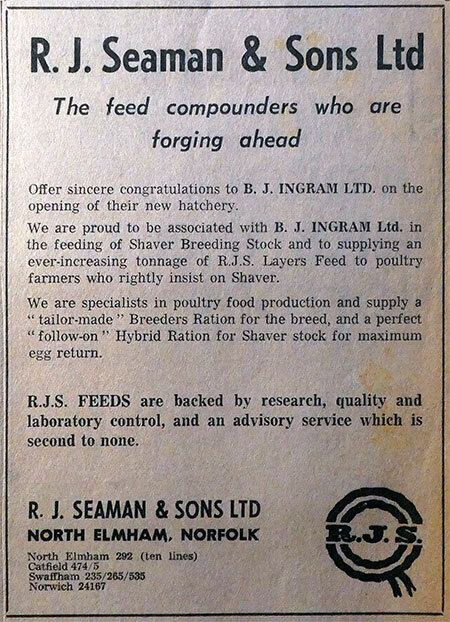 Sea man took over and developed a small Swaffham company the R.J. Seaman & Sons became a limited company. During the course of the next 50 years the company increased dramatically in size and eventually sold out to British Field Products in 1955. 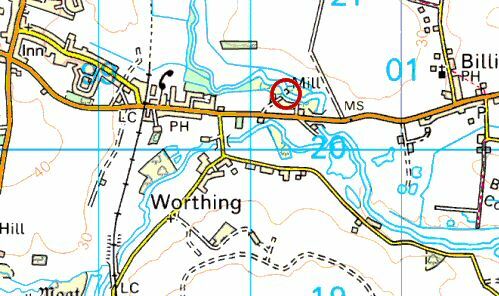 In 1961 the group acquired Press, Bly & Davey along with the Norwich Grain Company and in 1964 the 13,000 acre Weasenham Farms Co. joined the group. In 1968 British Field Products, which was originally founded by Lord Melchett in 1949, was in turn acquired by Guardian Assurance Company. In 1969 Guardian doubled in size when it merged with the Royal Exchange thus providing Seaman's with stability and strong financial backing. 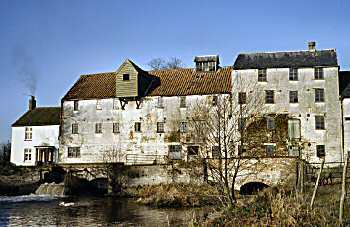 Another part of the Seaman family had split away years previously and ran Bintry_Mill under the trading name of Robert Seaman Ltd. 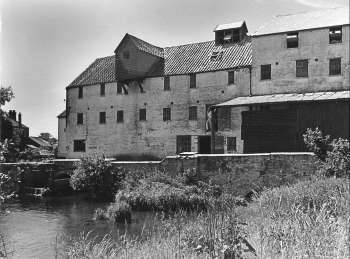 In 1959 the mill was still using the two turbines, one powering the sack hoist and the other running two mixing machines, leaving the grinders and meal cubing machinery to run by electricity. 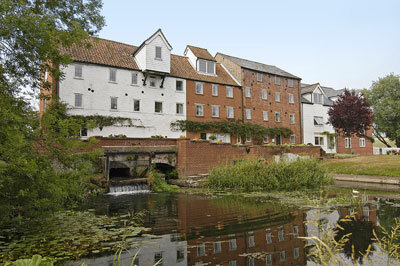 By November 2002 the mill had been converted into 9 leasehold apartments that were being advertised for sale by estate agent John B. Shrive. 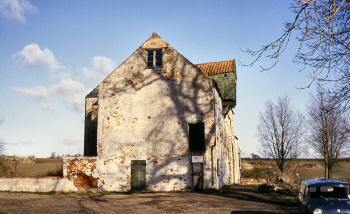 I was sent to work on the Water Mill at North Elmham. The problem was that the drive being a Crownwheel and Pinion, as probably most were, was constantly jumping out of mesh, the reason was the bearing block for the Pinion was badly worn, however I was able to fix it for a while, but having left BFP, to work for Crane Fruehauf (trailers) East Dereham, shortly after, I don't know what happened to it from then on. 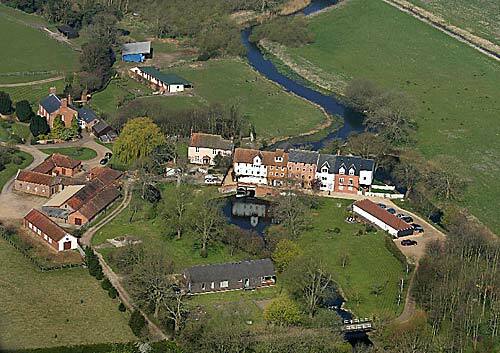 I lived at North Elmham, (my Father was Cowman for Robin Seaman) so I then had less distance to travel to work, that would be in about 1966. 3 double bedrooms, 2 bathrooms (1 ensuite), lounge, dining room, fitted kitchen, single garage, managed garden and fishing rights. 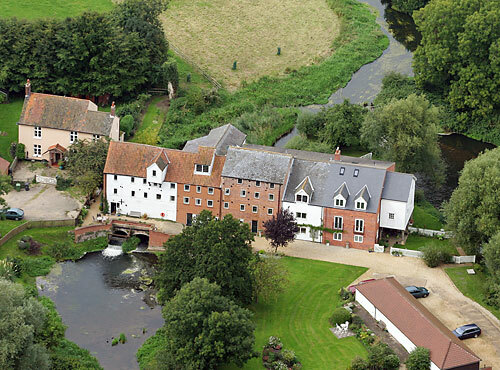 The River Wensum is a chalk river with a range of important wildlife and landscape features and is a Site of Special Scientific Interest and Special Area of Conservation. 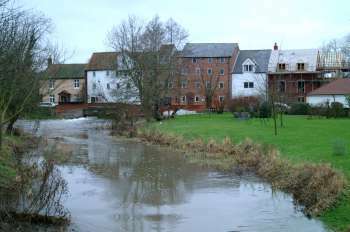 The Environment Agency is working in partnership with Natural England, landowners, fishing clubs and others to restore a section of the river, which has had water quality problems caused by issues such a high levels of phosphates, over abstraction, siltation and modification to the channel. 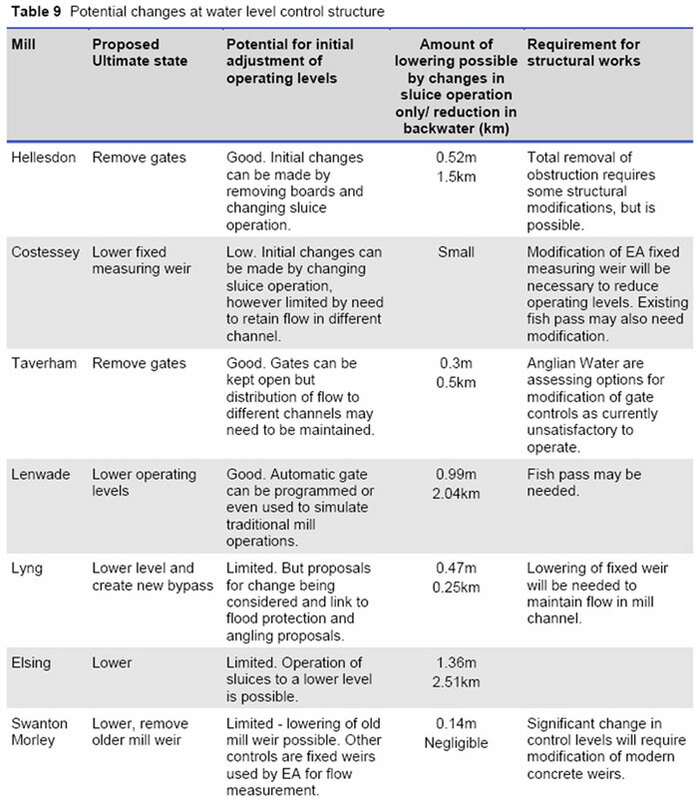 A range of projects are being carried out as part of the River Wensum Restoration Strategy to change the river, which has been made too deep, too wide and has been straightened. 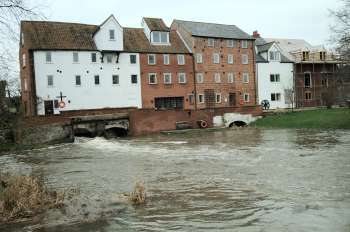 The Environment Agency and Natural England have held six public events to get the views of local people and groups and the feedback will be used to plan the projects. Work on the river began last year when two gravel glides were created at Attlebridge to provide spawning habitat for fish. 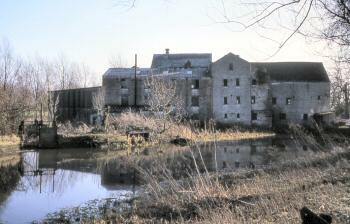 A large silt island was also removed at North Elmham Mill to ensure a good water flow in flood conditions and silt has been removed from other parts of the river. A major project at Bintree was completed in December to improve 700 metres of the river. 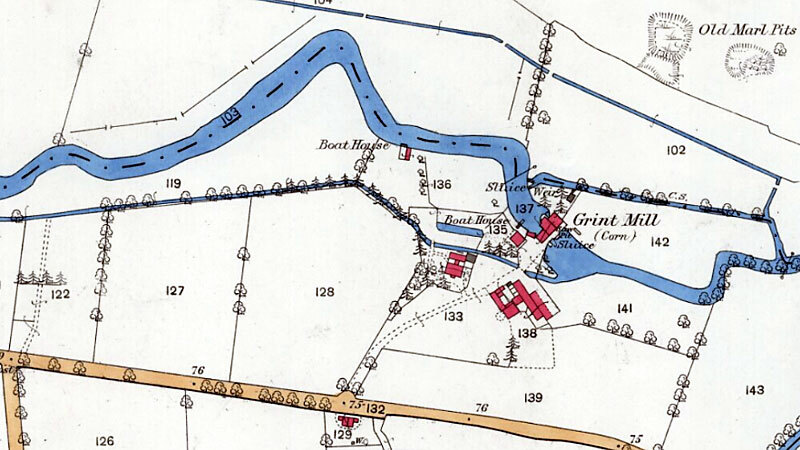 It was done with co-operation of the landowners and the trout fishery and included reconnecting the river with its floodplain, narrowing the channel, reinstating the gravel river bed and putting some of the meanders back along the channel. I am a North Elmham local mechanical engineer Mark Latham and was employed in my spare time back in the 1980s by the then owner of the mill to see if we could get the old turbine working again which was located underneath the mill and covered with river silt and had not been working for years. The owner at that time was a chap named Denis Shearing, I think he still lives locally. It was a major engineering undertaking and an extremely challenging project due to the location, working height and the age of the turbine. The Turbine was completely covered over with silt and was seized solid I dug her out and then set too and completely stripped the turbine and removed all the bits to a workshop located on the mill site. A considerable amount of damage had taken place to some of the major components which had to be recast at a foundry and then I had to machine and refit. The rest of the components had to be un seized and repaired or replaced and in some cases I had to re make replacements. The whole project from start to finish took approx. 2 years on and off. I know that Denis took a number of start to finish photos of this project including me hard at work on the turbine we got her back to full working order and I was very proud to have been associated with this renovation project achieving the full restoration of this turbine back to full working order. 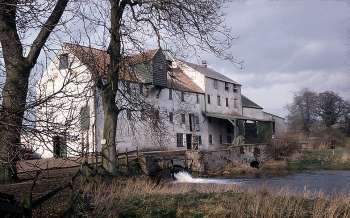 There were two turbines still in place under the mill in the 1980s and we renovated the one that was in better condition. 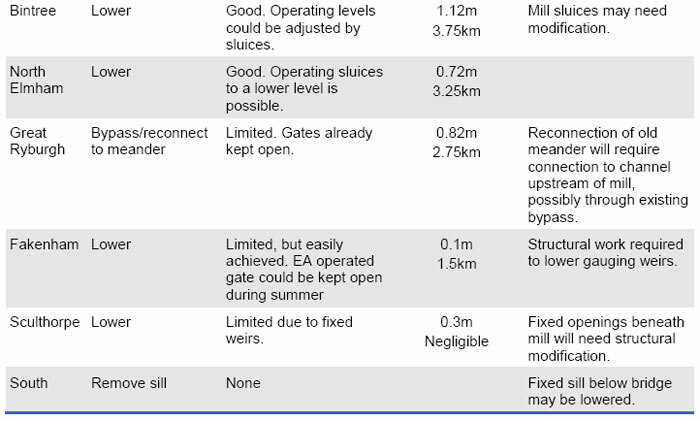 I would assume that both turbines are still in place one working the other still under years of silt. the feeling of anticipation coupled with excitement on the day we diverted the river through the channel under the mill to see if all our hard work had paid off was incredible, to see the turbine turn again for the first time for years was one of those moments in time, it ran driven only by the flow of the river. 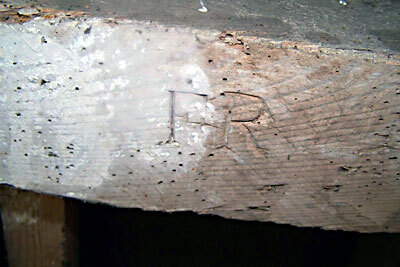 Friday 27th July 1781: Henry Hall, miller, fined £5 for adulterating wheat flour but proclaimed his innocence. 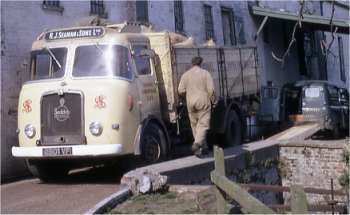 Employees included John Bone, John Norton and Edward Rust. 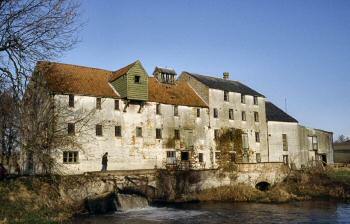 July 1781: Mill was not working as in need of repair.